Many years ago the following scripture captured my imagination; “The effective, fervent prayer of a righteous man avails much.” (James 5:16b) I have been pondering and chewing on that verse ever since. I want effective prayers! I want prayers that avail much! But the scripture doesn’t exactly tell what an effective prayer is. It’s like God is saying; “an effective prayer is very effective.” Well I need more information. I don’t want to waste my time with ineffectual prayers. Prayer is hard. In the article “The Prayer Tree” (see power of prayer), the practical side of prayer is discussed. I don’t want to wander around in some prayer mall for hours and hope I’ll meander into the right store – the one called “ANSWERS TO PRAYERS R US”. To me an effective prayer is one that produces results: answers. One of the original prayers I prayed and wrote down in my journal back in 1988 was this: “God, I don’t want to waste my time on prayers that don’t work. Teach me what the effective prayer is; teach me how to pray it.” I have learned over time something about the meaning of the prayer that “avails much.” I’m still learning but I will share with you at least three things I think go into praying a prayer that is effective. But be careful; God can’t be put in a box and I don’t want to reduce this teaching to some three step formula. Find out God’s will in the matter and pray in agreement with him. To really find God’s will is not always easy; this is where we need the “Passion” side of prayer – that intimacy with our Lord where we know him so well we know what he is thinking. I will admit to you that there are going to be times when even after the best of our ability we will not know exactly what God’s will is regarding our issue. When this is the case we can pray in agreement with what we know God’s character is and we can pray based on the principles established in his Word. It is possible to have effective answered prayer without knowing God’s will but when you have the advantage of knowing you have a sure thing. Desperate prayers are effective prayers. The scripture in James 5:16 itself provides a key to effective prayer when it uses the word “fervent.” “The effective, FERVENT prayer of a righteous man avails much.” A prayer quote that I like very much says; “Our prayers must mean something to us if they are to mean anything to God.” Think of Hannah in the Old Testament. (See 1 Samuel 1:8-20) Hannah was barren and she was desperate to have a child. The scripture describes her as having bitterness of soul and of weeping in anguish. Her situation had been going on for years until she was so serious about her request that she made a very difficult vow to the Lord. She vowed that if God would give her a male child she would give him back to the Lord. The child would be put in God’s service for full time ministry for his entire life. The answer to Hannah’s prayer ended up being Samuel, one of the greatest prophetic voices in the Old Testament and the man who anointed Israel’s first kings. The scripture is full of other examples of such desperate prayers. It is in desperation that God sees how serious we are about what we are asking. We find that out too. You can’t usually conjure up desperation. Some prayers grow more desperate over time and these are usually the ones that meet with the success that Hannah had. The desperate prayer pays a great price but produces a great pay off. The effective prayer is enduring. This one is a real toughie. “Enduring” is a code word for “waiting.” The effective prayer does not give up when there seems to be zero results but continues to pray and believe for an answer no matter how much time it takes. One of the most difficult things I have personally had to come to terms with as a Christian is that God’s timeframe is so different from mine. The bulldog spirit is helpful at such times; you just continue to go after it until you get it. Jesus told a parable specifically designed to encourage people to keep on asking until the results come in. It’s called “The Parable of the Persistent Widow” in Luke 18:1-8. In it he acknowledges that some things are going to take time but that God expects and encourages us to continue and that we will see results AS SOON AS POSSIBLE. Sometimes God has a whole lot of background stuff to do in order to get the answer ready to come to fruition. It is a great promise of scripture that our prayers can avail much. We can pray and get answers. There is such a thing as effective prayer. If you are like me, you want to pray in such a way as to see those results. I’d like to speak a blessing over your prayer life right now that your prayers would dramatically increase in effectiveness from this day forward. 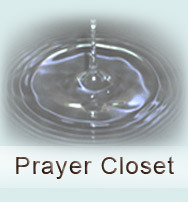 I pray that God would give you new insight into how to pray, why to pray and when to pray for maximum effectiveness. Go forth now and make a difference for the kingdom of God! Thank you Steve. God bless you as you navigate the straight and narrow path of our glorious Savior. I thanked God i found this site again.Reading the articles you have been posted are a great help for me.Mega blessings! I thank God you found it again too. God bless you and your prayers to be effective AND answered.